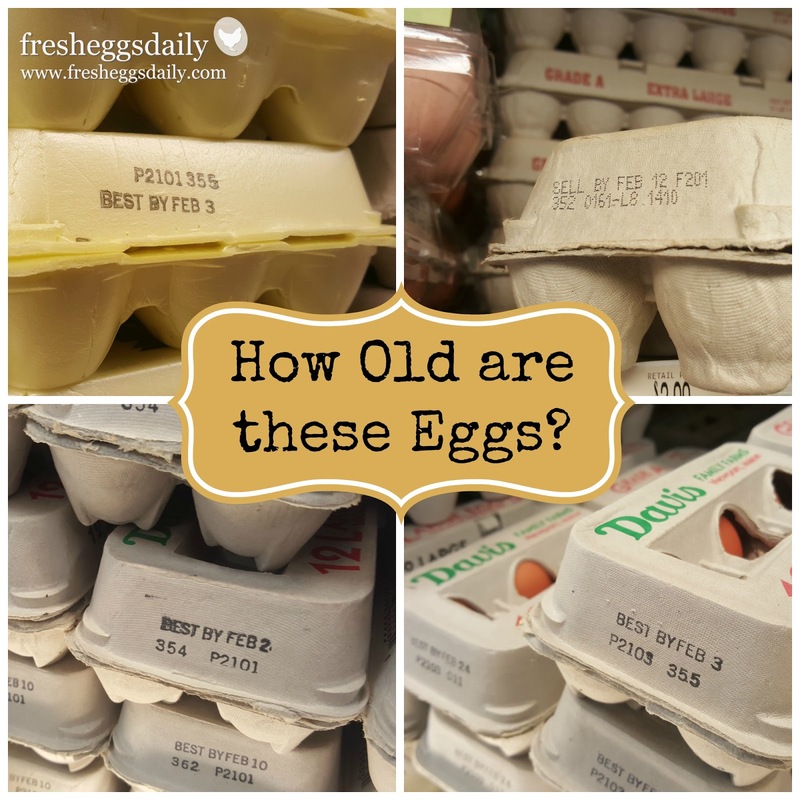 How Old is the Average Supermarket Egg? Q: How old are the eggs being sold in the grocery store? A: It's just about impossible to tell, but they could be up to 2 months old. Yup, really. In response to a controversial (in some circles anyway!) meme that I posted on Facebook a few weeks ago stating that I would rather eat a 45-MINUTE old egg than a 45-DAY old egg, I thought I would delve a bit deeper into the question of just how old the average supermarket egg actually is. By law, an egg can be sold for up to 30 days after the date it was put in the carton. Yes, that says 'put in the carton', not laid or collected, but cartoned. And a farmer has up to 30 days to package an egg after it's laid. So that means, by law, a commercially sold egg can be two months old by the time you buy it. Sure the egg will be just fine to eat. Not as fresh, of course. The yolk won't be quite as firm and the whites will be more runny, but it will still be fine to eat. The air sac will be larger since more air has had the chance to seep through the pores in the shell, and there's been a greater chance of bacteria seeping in as well, I would guess - but hey, on the bright side, that 'up to 60 day old' egg will peel just great when you hard boil it - although if you steam your fresh eggs they'll peel just fine too. But I personally would rather eat a fresh egg any day. If you don't have your own chickens, and aren't near a farmers market, or know a friend or local farmer who provides you eggs, you're at the mercy of the commercial farmers, so how can you increase your chances of choosing store bought eggs that are as fresh as possible? Well, you have to learn the 'code'. 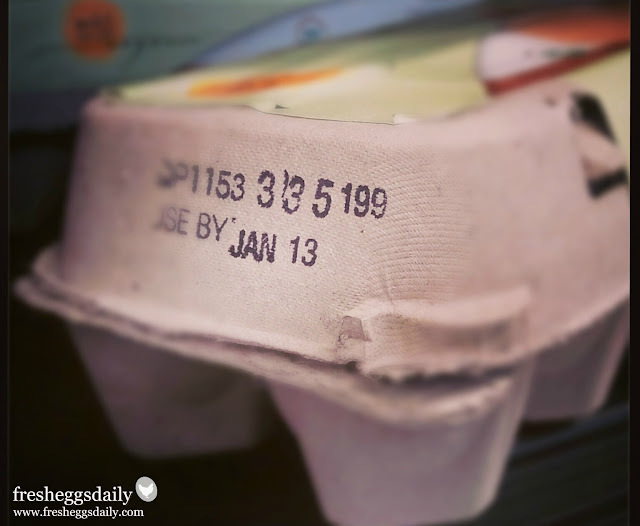 On each egg carton, there's a number printed, from 1 to 365 (I bet you can see where I'm going with this, can't you?). That represents the day of the year the carton was filled: 1 being January 1st and 365 being December 31st. Using the code, you can at least tell when the eggs were put in the carton.